This year, Project Yesu was looking for some dresses for the older girls of ages 12-16. I challenged myself to create a variation of the peasant dresses we normally make that would meet some of the unique challenges of making larger sizes. It is longer, but has enough width at the bottom to allow for easy movement. I also lined the top to allow for more modesty. The elastic waistband is another nice feature that just makes the dress a bit more mature. 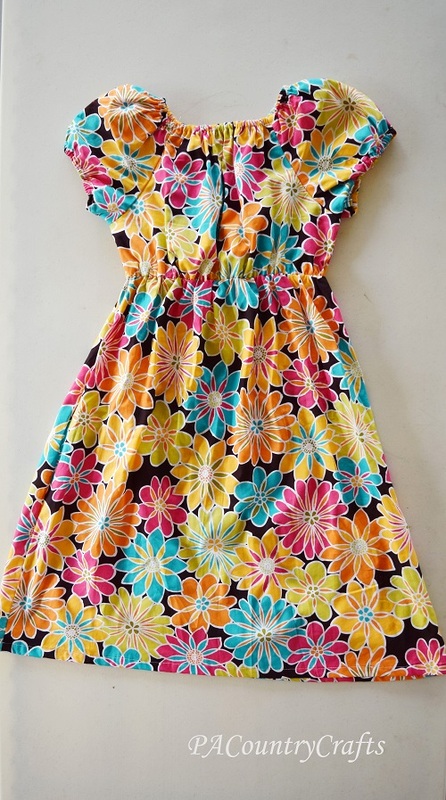 This dress is in a 14-16 girls size. 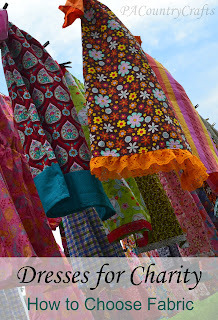 If you need help choosing fabric see my post HERE. You can do contrasting sleeves. 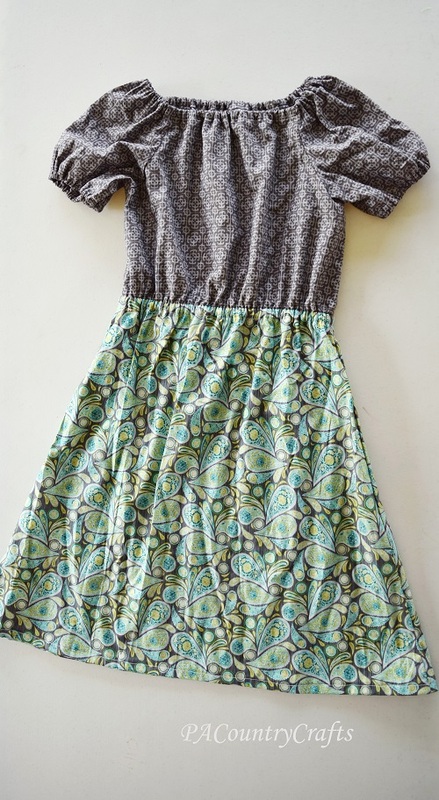 The top and sleeves can be made from a different print/color to give a faux two-piece effect. It would be easy to adapt my regular peasant dress to add the elastic waistband, too. 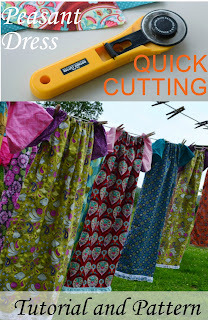 Reading my tutorial for quickly cutting peasant dresses would be very helpful for understanding how these dresses are cut. 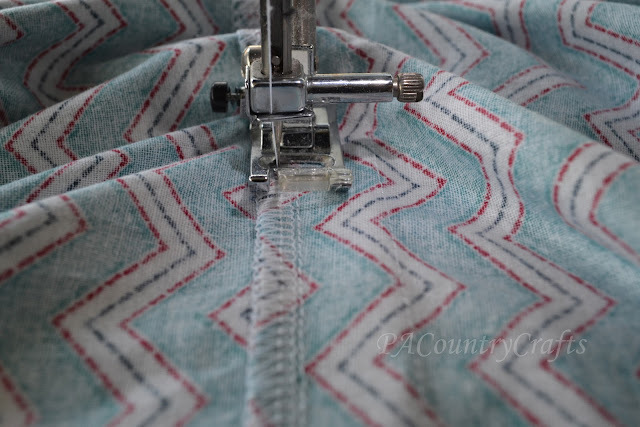 For the skirt portion, keep the fabric folded with the selvage edges together, just as it comes off the bolt. I always cut four layers at once, taking the cut edges together on the end. 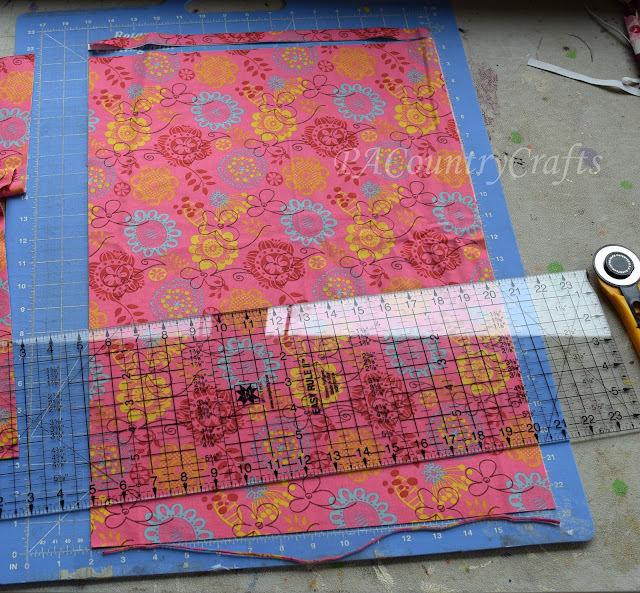 Cut two strips the width of the fabric by 25". 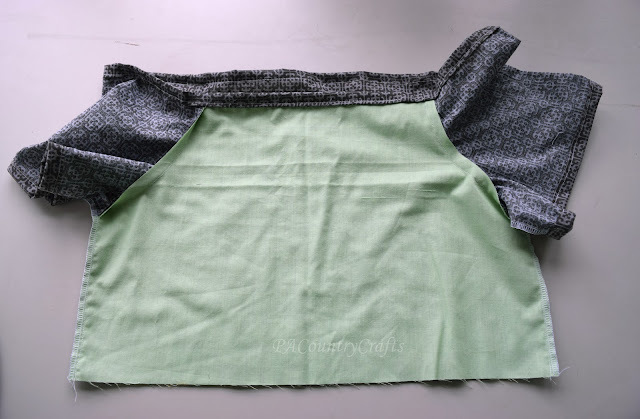 Then, to make the most efficient use of the fabric, refold it by taking one side of the selvage edge (I cut both pieces at once) and fold it towards the middle 15". 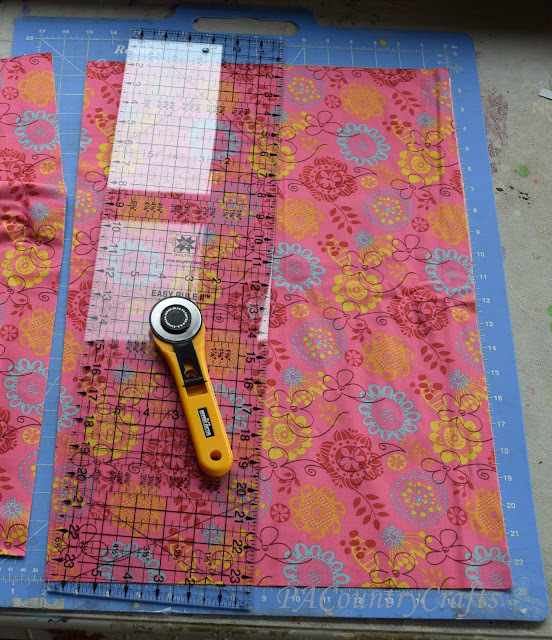 Cut a slit 1 1/2" into the fabric 10 1/2" from the fold (for a total width at the waist of 21"). Then, use the ruler to cut an angle towards the corner from the end of the slit. This is what you should have so far... a funky looking trapezoidish thing. 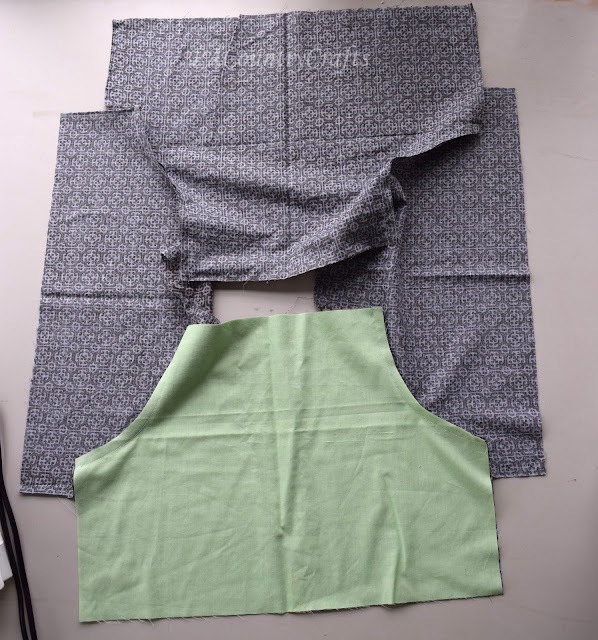 A quick tip... the reason I refold the fabric is because if I cut 2 skirts from the same fabric, I can piece together the remaining fabric and make another skirt. It just has a seam in the middle- I use those for the backs. 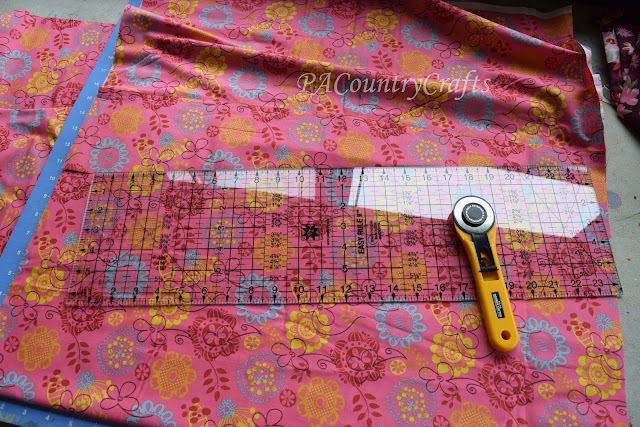 For the top, cut a strip the width of the fabric by 15". 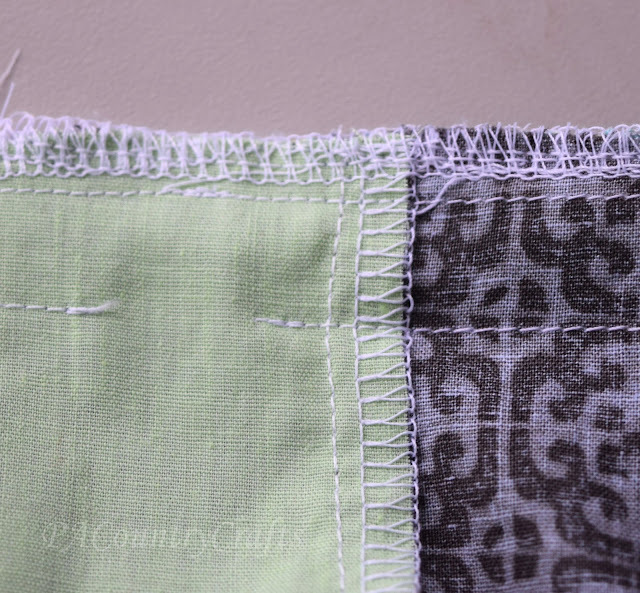 Trim off the fold and selvage to make two pieces EXACTLY 21" wide. Fold the pieces in half and cut an arm scythe 4" wide by 7" high. Save the pieces that you cut off so you can trace them later. 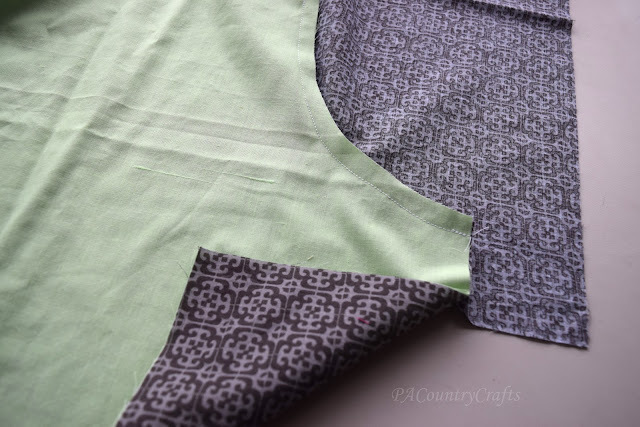 Make one lining out of thin, smooth cotton or a poly cotton blend for the front. Cut is the same as the top. Cut two sleeves the same way, but make them 12" instead of 15". 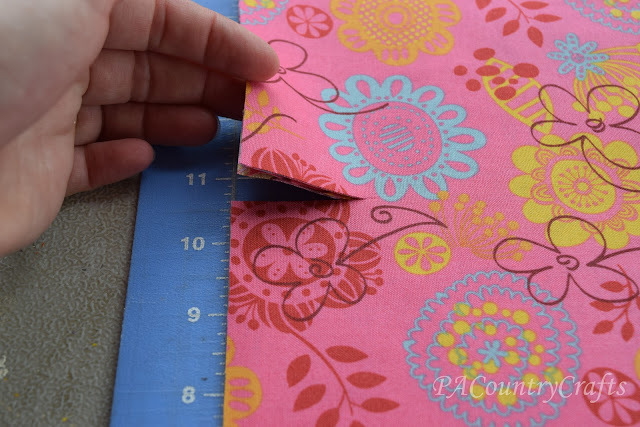 Fold and use the pieces that you cut away from the top as a guide for cutting the arm scythes. Cut one inch from the top of the front an lining. 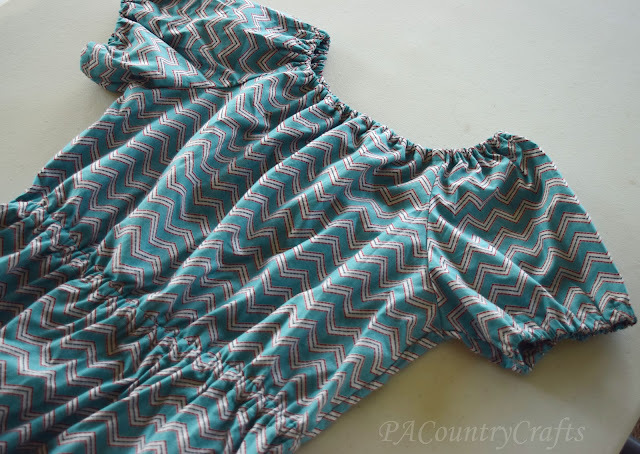 Then, angle the sleeves by cutting one inch from the front side and angling up to the back. That should give you all of your pieces. 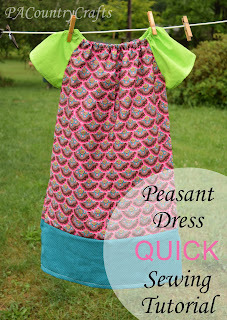 Now, sew the top together just like my regular peasant dress tutorial. You have to be careful to line up the shorter sides of the sleeves with the front of the top. 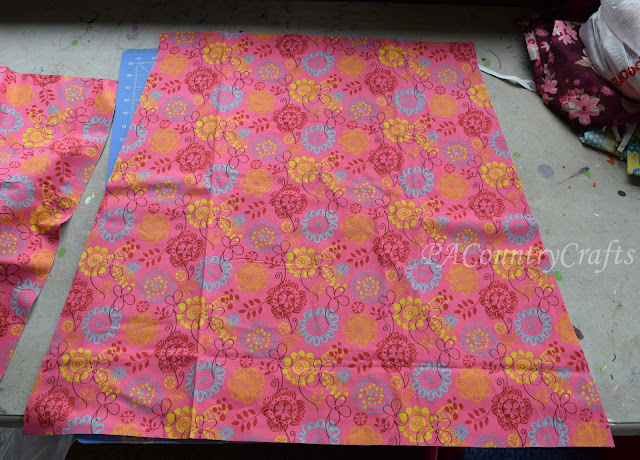 To line the front, just sew it with the lining and front held together as if they are one piece. 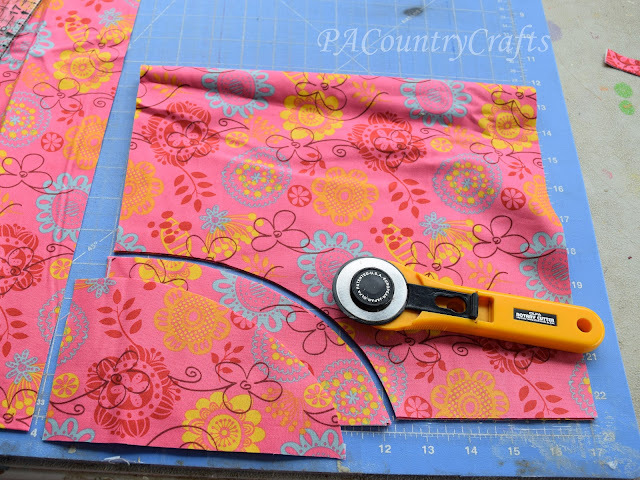 Sew the side seams using a PRECISE 3/8" seam allowance. That is really the only tricky part to this. Serge the sides. Then, sew the elastic casings for the neck and also for the sleeves. Again, I explain that method HERE. See? The top is all finished! 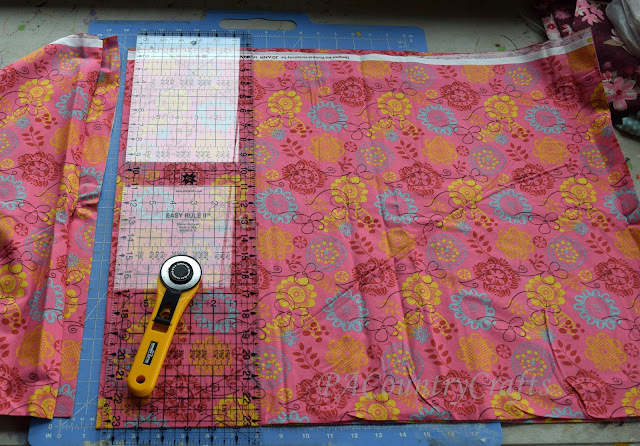 Now, sew the skirt with the right sides together using a PRECISE 3/8" seam allowance. This is important to make sure the top and bottom line up. Serge those sides, too. 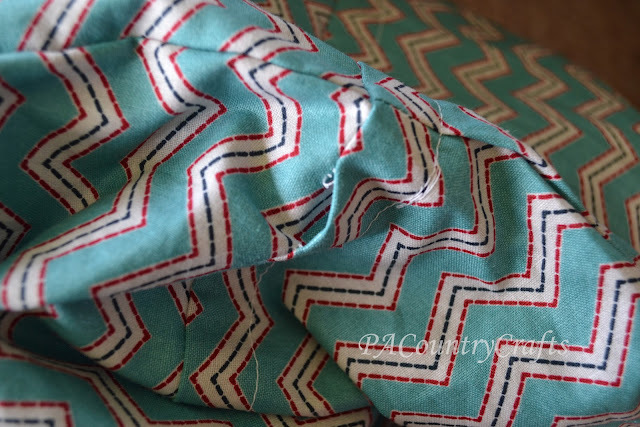 Do yourself a favor and hem the bottom before you attach it- it is easier when there is less fabric to deal with. 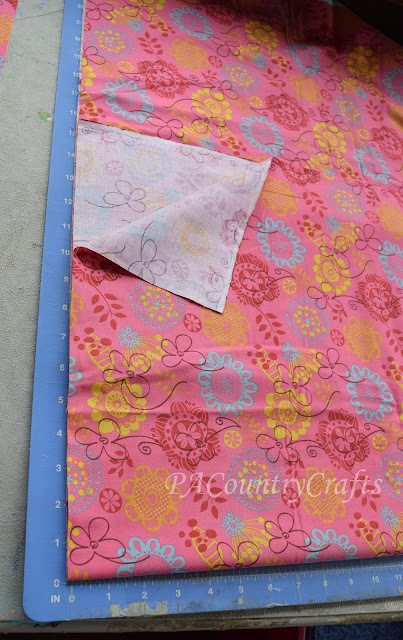 Just fold it under 1/2" twice and sew. 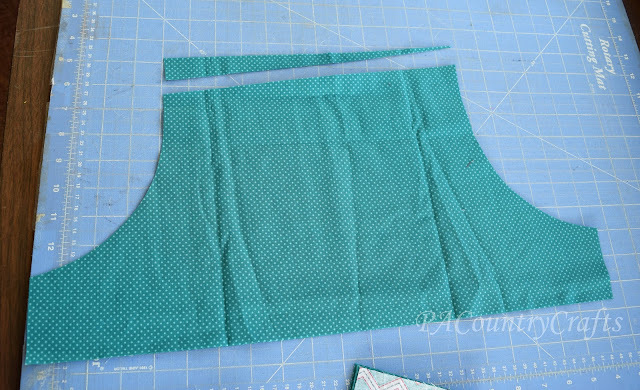 Now, turn the skirt right side out and line up the waists. Make sure the seam allowances press one direction so that the elastic can be pushed through. 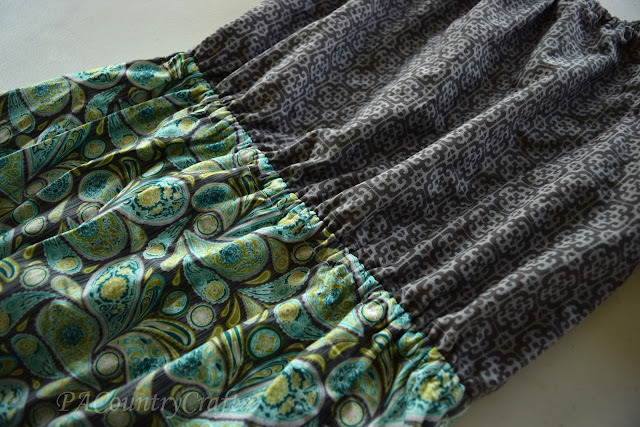 Sew the top and skirt together with a 3/8" seam allowance. Then, sew again 1/2" from that stitching line and leave an opening to thread elastic. Serge the raw edges. Now, to take it one step further, you can press the casing towards the skirt and topstitch on top of the seam allowance. It makes the waist lay flatter. I didn't do this with all of the dresses we made (I forgot) but it does make them better. For the neck, use 1/4" elastic at 25" long. 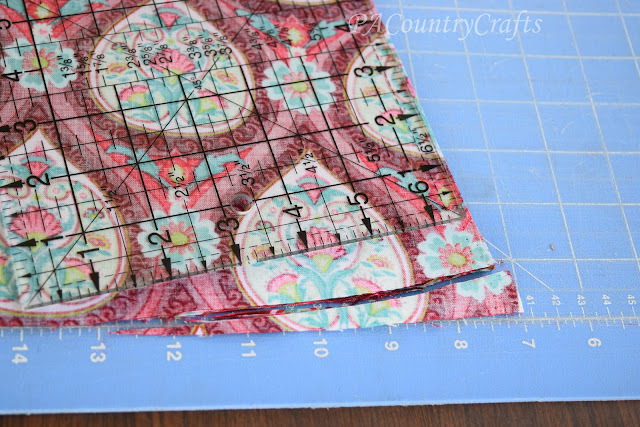 For the waist, use 3/8" elastic at 27" long. You can see how I insert the elastic and sew it together HERE. That is it! 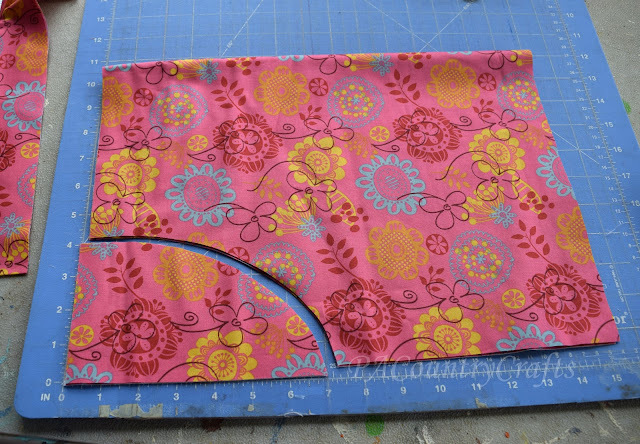 I can sew one of these up in 30-45 minutes, including stuffing the elastic in the casings. Here is one I made with a shorter top and longer skirt. 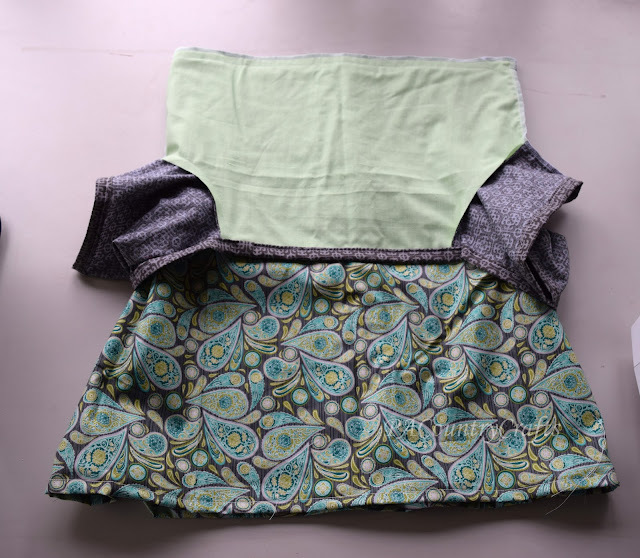 If you cut the skirt 28" long there will be enough left to make 2 drawstring bags for Days for Girls hygiene kits. 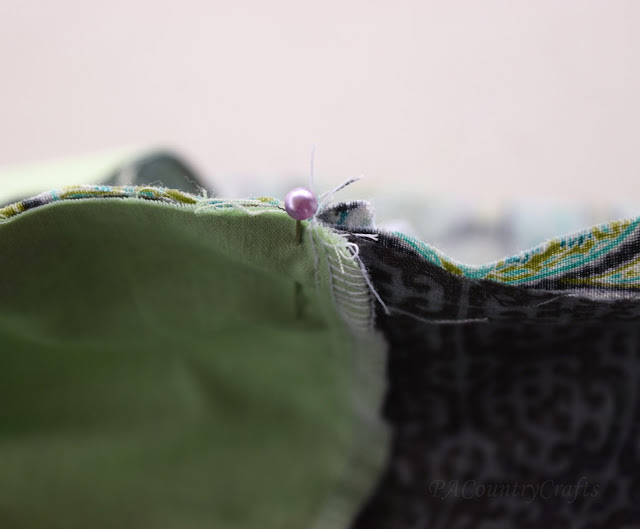 I have way too many scraps, so I am always looking for good causes to sew smaller things for. 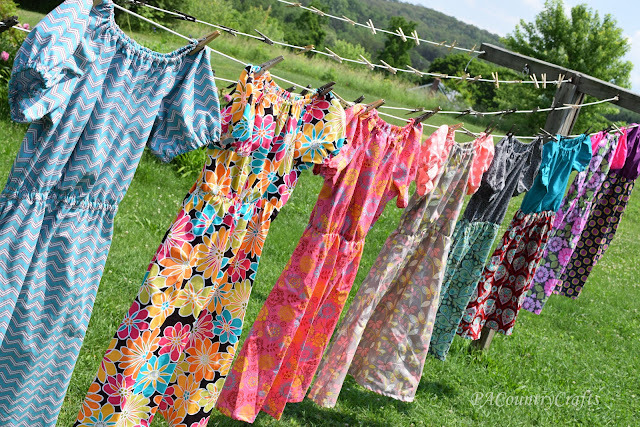 I am posting the pattern and tutorial for these dresses for personal, non-commercial, or charity use only. Do not sell this pattern or sell things made from this pattern. I spent a lot of time tweaking it to get it just right so please respect my intentions. If you have any questions, just let me know! You can contact me via facebook or e-mail pacountrycrafts at gmail dot com. I would LOVE to see pictures if you make some of these dresses. 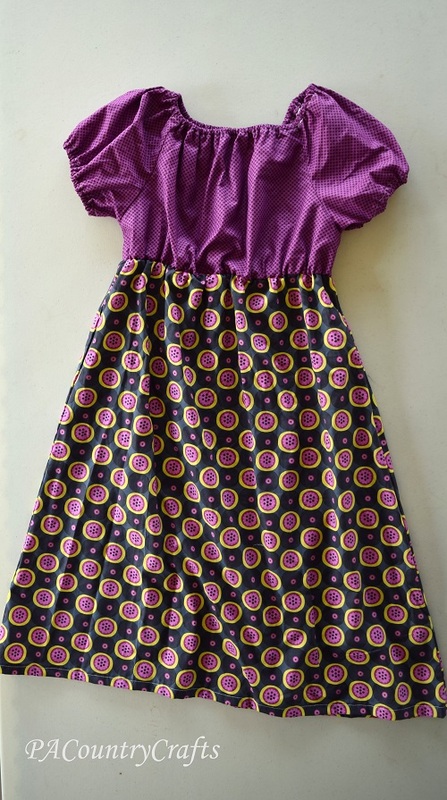 An easier version of this dress can be made for smaller girls, too. I have several recent posts about those. Would you like to help? You can contact Project Yesu about dress donations. They are also asking for donations of just $10 to help cover the costs of transporting supplies to Uganda this summer. If you would consider donating that amount- less than the cost of some sewing patterns- it would be greatly appreciated! You can also pray for their work there and for the girls who will wear these dresses.